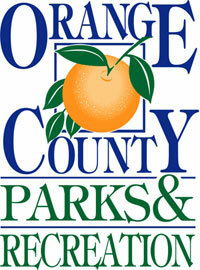 In an effort to prevent wildfires while maintaining natural ecological systems, land managers with the Orange County Parks and Recreation Division plan to perform a prescribed burn on 40 acres, weather permitting today, Thursday, December 6, 2018 at Kelly Park, 400 E. Kelly Park Rd., Apopka. County lands are managed as natural areas and periodic fires are needed to keep the systems in good condition. Fire is a natural and important ecological force, which has shaped these properties over time. Plants and animals that live in these systems are adapted to and depend upon periodic fires for their continued survival. Benefits of prescribed burning include the removal of accumulated fuels; the increase of wildlife and wildflowers; and the restoration of scenic vistas as undergrowth is reduced. Land managers need a narrow range of weather conditions outlined in park-specific fire prescriptions in order to burn. These prescriptions consider such things as ground moisture, humidity, wind speed, wind direction and the ability of the atmosphere to carry smoke harmlessly away from the area. The Florida Forest Service must agree with fire prescriptions and issue permits to allow prescribed fire. For more information regarding today’s burn, please contact Mandy Kimmer, Orange County Parks and Recreation public information officer, at 407-836-6257 or Doreen Overstreet, Orange County Government public information officer, at 407-836-5301.